Palo Alto, California is home to an incredible amount of innovative and exciting companies that are changing the way the world operates and interacts. At Piedmont Moving Systems, we’re proud to help the companies that are changing tomorrow, move today. In the 30-plus years we’ve been in business, we’ve helped thousands of companies move countless miles – even overseas – safely and securely. Piedmont is a dedicated agent for Mayflower Van Lines, one of the largest and most well-known transportation companies in the industry. Our agency with Mayflower gives what we need to make these moves simple and streamlined – regardless of the distance or the cargo. Whether you need to move heavy industrial machinery or delicate electronic equipment, we have the resources to get it done. Call Piedmont today for a free consultation on our Palo Alto commercial moving services. Call Piedmont Moving Systems today for a comprehensive consultation from one of our friendly, knowledgeable Palo Alto commercial movers. We’re eager to help you make the most of your relocation today! 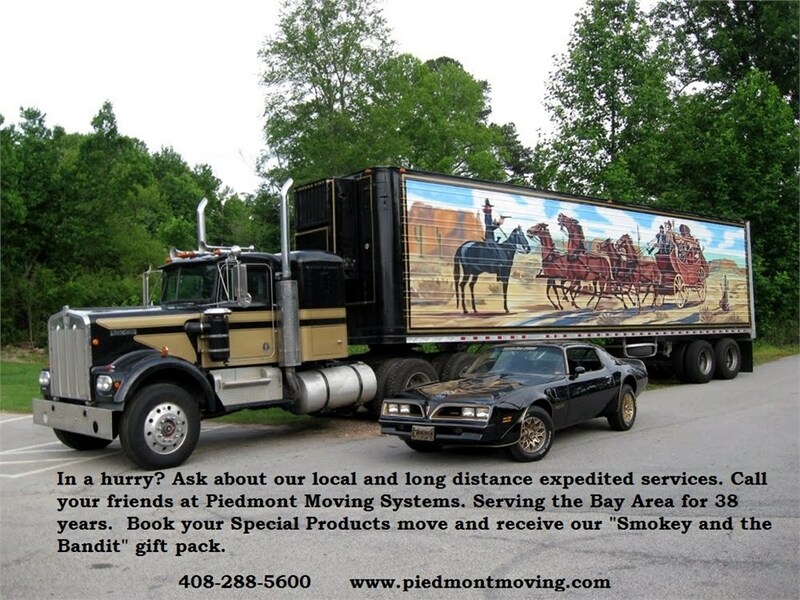 Book your Special Products move today and receive our Smokey and the Bandit gift pack. We use Piedmont quite frequently! Always quick to respond and very helpful! I would definitely recommend! Serving customers throughout the United States. Check out our past projects.